As determined by the tastes of the Bon’App team, and for your viewing pleasure, here is a list of our favorite food-related films. 5. Chocolat (PG-13, drama): When a woman and her daughter open a chocolate shop in a small French village, their delectable creations threaten the social customs of the community. When to view it: Perfect for a rainy day, or an evening where romantic drama and sensual French influence fit the mood. 4. 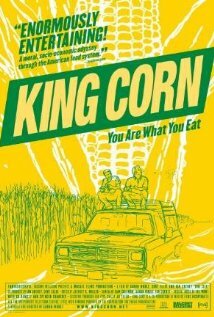 King Corn (UR, documentary): Two recent college graduates find out that the majority of their diet consists of corn and then seek to trace the roots of their food, temporarily becoming corn farmers in Iowa. When to view it: This film goes a long way in answering where the majority of the ingredients in processed food originate. Watch this when out want to find our where your food comes from. 3. Ratatouille (G, Animated Comedy): Remy, a French rat interested in cooking, travels to Paris only to find that his idol chef is no longer alive. He befriends a garbage boy at a Parisian restaurant and the two endure the trials and tribulations of restaurant life. 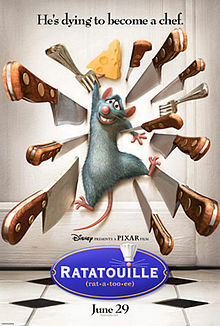 When to view it: If you are looking for a childhood throwback or a movie for the whole family, Ratatouille will be a hit. 2. 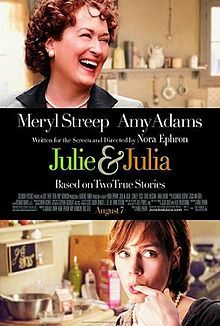 Julie & Julia (PG-13, drama): Julie Powell challenges herself to cook through Julia Child’s cookbook in one year, blogging about her experience along the way. When to view it: popular with a female crowd because of its hints of romance and flashback history, this will be a crowd pleaser at any ladies night. 1. 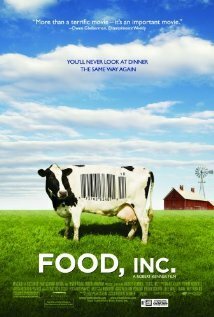 Food Inc. (PG, documentary): Documents the interior of some of America’s food giants, showing some unflattering information about where our food really comes from. When to view it: When you are ready for a somewhat disturbing look at today’s food industry, this movie shows you the ugliest of what you’ve been eating.